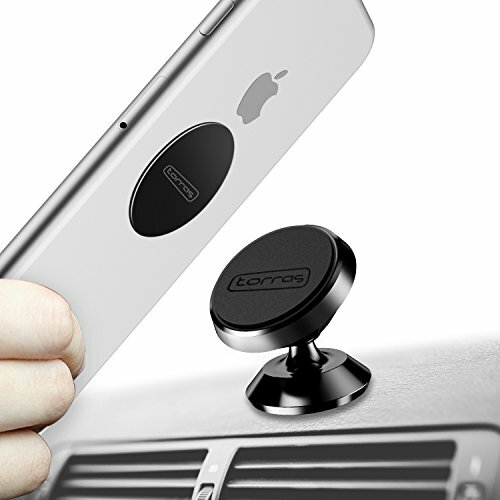 Widely Applicability:This magnet car phone holder can bear the devices weight from 300~500g depending on the material of the contact surface.So,it’s the best choice for your smartphones like iPhone 8/8 Plus/7/7 Plus/6/6 Plus/6s Plus,iPhone 5/5C/5S,Samsung Note 3/4/5, Galaxy S3/S4/S5/S6 Edge S7, HTC, LG G3, G4,G5, Google Nexus)as well as cell phone with protect cases and GPS devices. 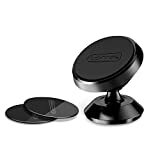 Sturdy and Secure: With powerful neodymium magnets, 3M strong adhesive glue and two magnet sheets,you can have your hands free at any time in the driving. Premium Design:This car mount is made of powerful neodymium magnets and aluminum alloy, liquid silicone.Best quality for your car.